Custom Cabinetry, Millwork, and Finish Carpentry company based out of Victoria BC. 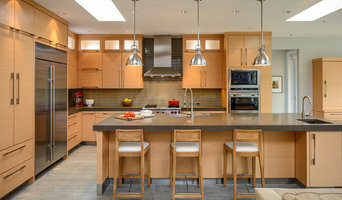 Vancouver Island's Custom Cabinetry Professionals-Visit Our Showroom! Thomas Philips Woodworking Ltd. is all about quality craftsmanship and superior customer service. Our custom cabinetry and millwork are crafted with the finest materials and attention to detail results in a flawless finish. Client satisfaction is our top prionrity and we pride ourselves in exceeding their expectations. As a client of Thomas Philips Woodworking Ltd. you can expect a collaborative process where your ideas and needs are met with expertise and ingenuity to create both a striking and functional product. Island Dream Kitchens was formed with skilled craftsmen and expert installers having extensive experience in the Victoria market. The commitment to excellence and quality workmanship is of paramount importance to the entire team. We strive to complete each project with the care our customers expect and deliver on our promises. We look forward to providing your next kitchen, vanity or custom millwork project. Island Dream Kitchens was created as a father/son team along with tenured professionals from a long standing custom cabinet and millwork shop. 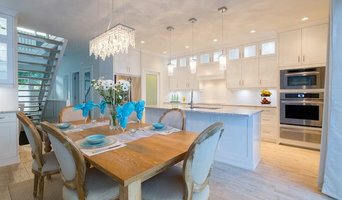 With the equipment, location and personnel having decades of experience along with the latest techniques and training, Island Dream Kitchens is committed to excellence. The entire team is delivering an exceptional product on time and on budget. Our customers are our best advertising as their testimonials will confirm. We aim to ensure the entire process from the design, production and installation receives the care and attention you would expect from a custom shop. Drop in for a complimentary consultation or to view our showroom! CAD 5,000 - CAD 180,000 Kitchens $15,000-$55,000 and up Vanities $1,500-$5,500 Built-ins $4.500- $12,000 Though we do many high end kitchens and built-ins everyone should be able to have a Dream kitchen or home project. We exist to make you happy! Infused into your carefully managed project designed and crafted in our Sidney workshop, is the secret to the happiness that awaits your own home in your personal object of desire. Feel the glow in your kitchen, bathroom, closet, built-in, media room, mud room, laundry, great room, dining room, living room, nook, games room, bar, basement, loft, garage, man cave, craft room and any other spaces you can think of. 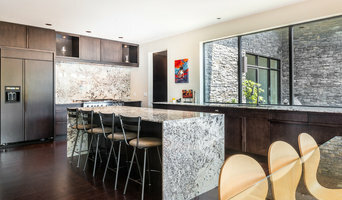 TGI Cabinetworks – locally owned and operated With over a century of combined expertise we have been providing professional services to Southern Vancouver Island for over 35 years. When it comes to experience, we have you covered. We guarantee a positive home improvement experience from the initial design stages to installation. TGI Cabinetworks provides the highest quality of products and service helping you get you job done ON TIME and ON BUDGET. Come visit the showroom! Home owners, contractors, and designers are encouraged to visit our showroom to meet with our friendly and professional designers who will help choose door styles, hardware, countertops, sinks and faucets, tile and more. Factory Direct Pricing! TGI offers competitive pricing and a wide variety of products to fit your budget needs. Whether you are looking at budget friendly options such as PVC doors, laminate, exotic woods, bamboo, custom painted cabinets, plywood cabinets or dovetail drawers, we have what you are looking for. “One Stop Shop” While our main purpose is cabinet sales, we also offer a variety of quality products that go along with a new build or renovation, including: countertops, sinks, faucets, tile, hardware and professional cleaning products. All quotes issued have base pricing with costing for optional upgrades listed separately. We use the 20/20 design program which provides elevations and a realistic 3D image. Our main focus is to work within budget and ensure projects are completed on time. We have extensive experience and provide free quotes. Be Inspired! Columbia Cabinets manufactures high quality custom cabinetry with a high degree of flexibility, making it very "designer friendly"
Your dream home. You are ready to build new, or to renew, your cherished living space. You have started with your Architect or Designer, and now it’s time for the details. And there are a million details! At TRM, we will work with you, your Architect, or your Designer at the earliest stages to help you realize your vision of your home. And if your journey is already underway, don’t worry. At TRM, we are happy to join in the middle of the conversation. Crafting the Heart of Your Home™ is not only our tag line it is a foundational belief of the whole team at TRM. Kitchens, bathrooms, home offices, living rooms, entertainment rooms, even closets – every room a great room, meticulously planned and executed by a team of skilled craftsmen and women. 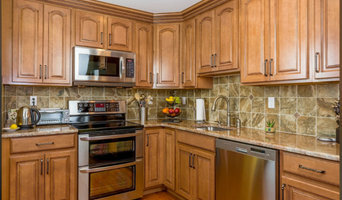 In addition, Victoria, BC cabinetry pros can help you give worn or dated cabinets a makeover. They can replace doors; add glass inserts, decorative moldings and other details; or give cabinetry a new coat of paint or specialty finish. Your cabinetry professional might work closely with a British Columbia kitchen designer, builder, remodeling contractor or interior designer. Here are some related professionals and vendors to complement the work of cabinets & cabinetry: Kitchen & Bath Designers, Kitchen & Bath Remodelers, Interior Designers & Decorators, Closet Designers and Professional Organizers, Woodworkers & Carpenters. Find a cabinetry professional on Houzz. Narrow your search in the Professionals section of the website to Victoria, BC cabinets and cabinetry. You may also look through British Columbia photos to find examples of cabinets that you like, then contact the cabinetry professional who worked on them.